The services of a private investigator and private detectives have gained prominence in recent years. The need for clarity in our lives has been pushing factor for the rise in popularity of these services. However, to meet the needs and purposes of having a private investigation conducted, high quality investigations are required. This can only be provided by experienced agencies. 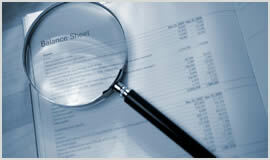 There is no company with better experience than Private Investigators. They have been providing investigations services for the Last 35 years to the people of Bristol. The quality of their services is further enhanced by hiring qualified personnel drawn from the police and military investigation departments.